Welcome to the Millennial Homemakers Podcast! 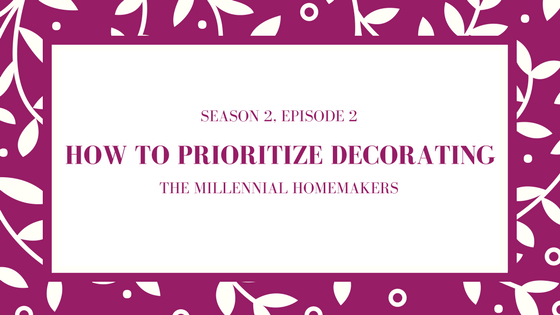 In this episode, we share some of our favorite tips for prioritizing decorating your home. Working within budget restraints to decorate your home. If you’re ever in Chattanooga, make sure to check out the Refindery on McCallie and tell them Jaclyn sent you! Check out Mary Elizabeth for some thrifty inspiration. Take a page out of former President Reagan’s playbook and ask for a room for your birthday (and read I Love You, Ronnie while you’re at it). Don’t forget to check out Craigslist and Nextdoor for great finds! Finding time to decorate and finish your home projects. You can use Pinterest to help decorate without being overwhelmed!